Business growth is possible with the right workforce. Northeast Kentucky is home to a skilled, dedicated, and loyal workforce who is ready to get to work and move your company forward. Companies locating here can choose from hundreds of qualified applicants and benefit from a local employee retention rate of 98%. With room for development and financial incentives available for relocating companies, now is an excellent time to do business in Northeast Kentucky. 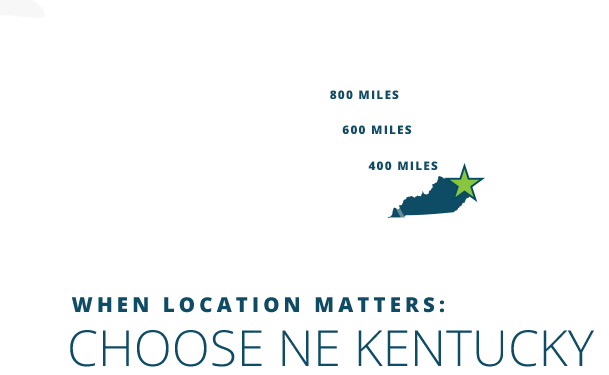 We invite you to explore all our area has to offer and to discover how moving your business to North East Kentucky can position you for growth.